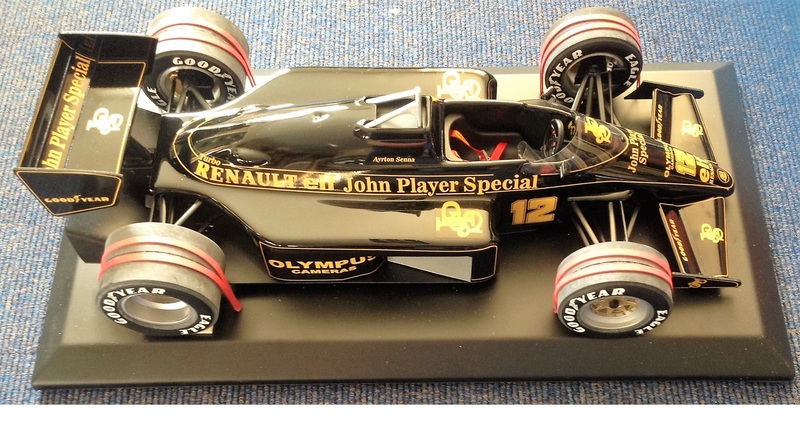 Motor Racing Ayrton Sennas 1985 Lotus John Player Special 97T Formula One scale model. 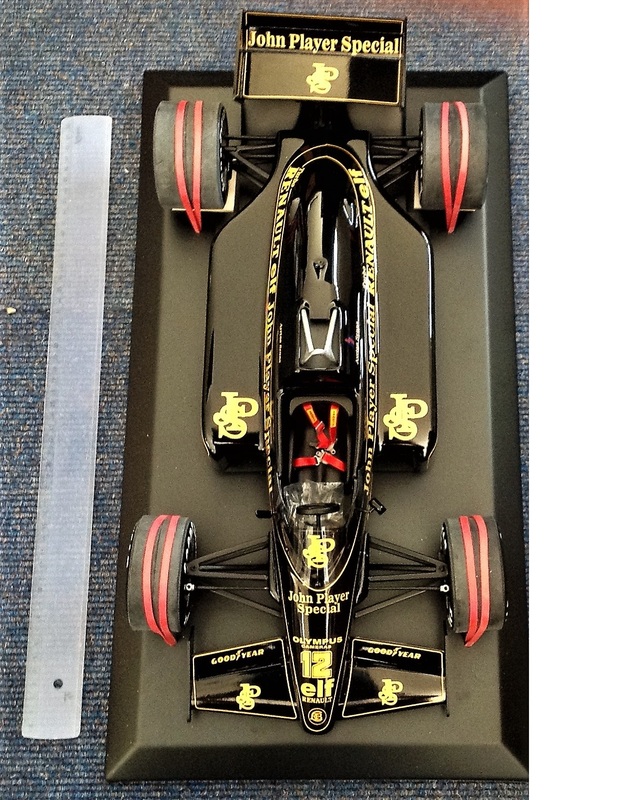 The Lotus 97T was a Formula One racing car designed by Gerard Ducarouge and built by Team Lotus. 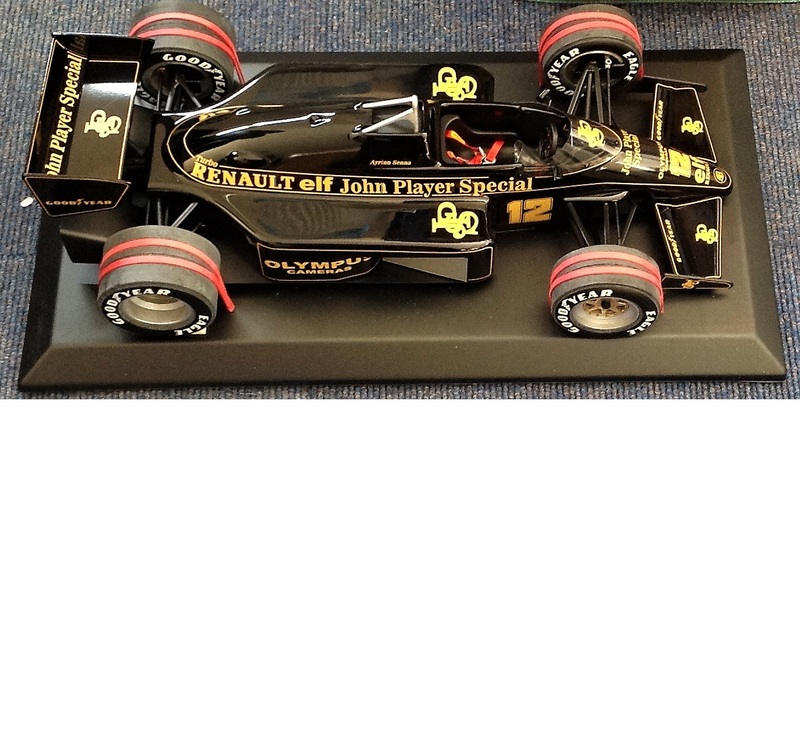 A development of the Lotus 95T of 1984, it was designed for the 1985 Formula One season by French engineer Gerard Ducarouge. The 97T was powered by the turbocharged 1. 5L Renault engine which produced up to approximately 800 bhp, 597 kW; 811 PS. 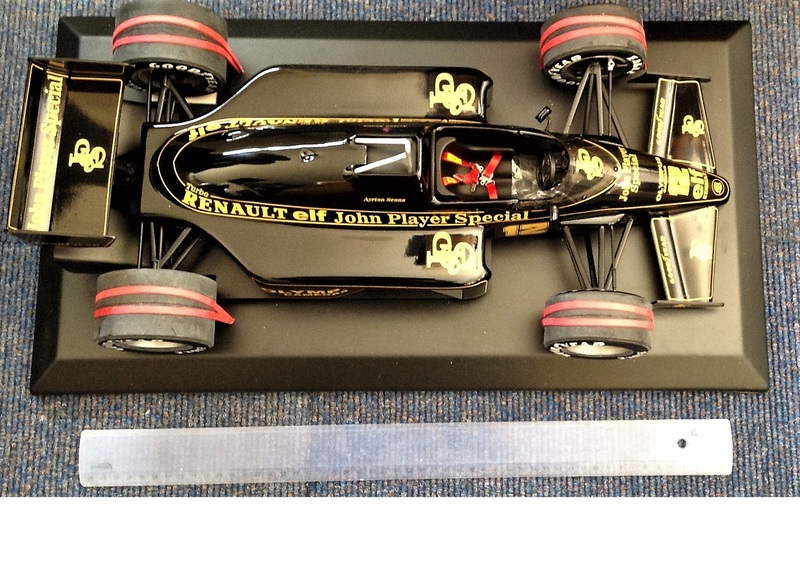 Sponsorship came from John Player Special, French oil company Elf, the official oil of engine supplier Renault and Olympus Cameras, while the car used Goodyear tyres. Good Condition. All signed pieces come with a Certificate of Authenticity. We combine postage on multiple winning lots and can ship worldwide. UK postage from £3.99, EU from £5.99, Rest of World from £7.99.